Open SeasonallyThe Water Zone is THE place to play on a hot day. That is where you can find our Big Red Water Slide, a 3 ft pool and our 3 in. 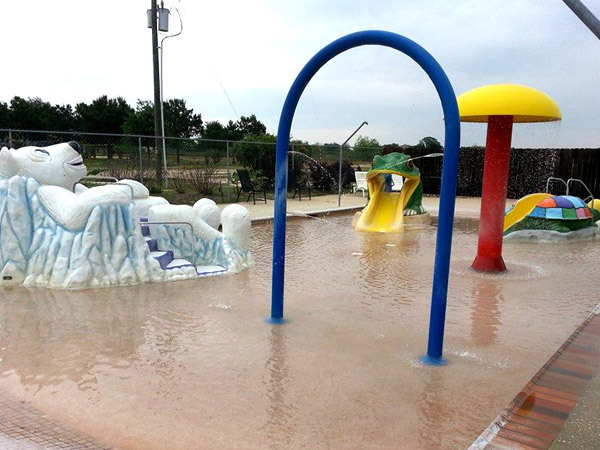 splash pad with sprinkler toys and 3 small slides. There is something here for everyone. Open SeasonallyOur “Big Red” Water slide takes you 18’ down through 2 mind-dizzying twists before you splash down in our landing pool. If you are 3 feet or taller, you will want to go down again and again. And again. This is a fun way to cool off on a hot summer day. 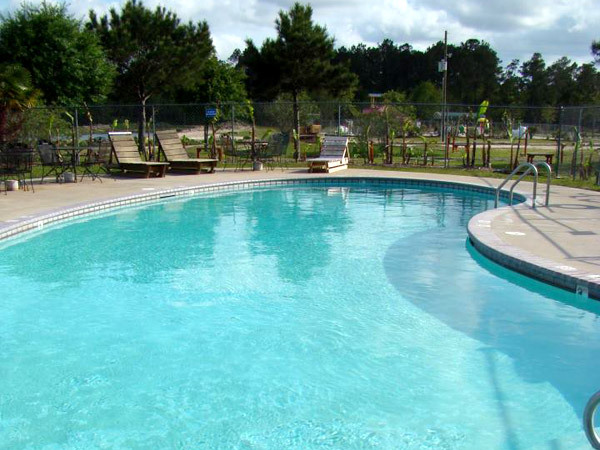 Our beautiful, big pool is behind the store. It is a kidney shaped pool sloping in the middle from 3-5 feet in depth. Swim for exercise, float for relaxation, or sunbathe on the deck. 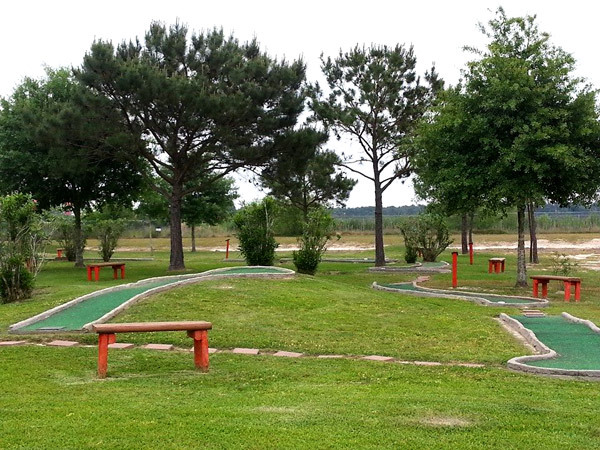 Our 9 hole mini golf course is fun for young children as well as skilled adults. It offers both flat and hilly holes under shady pine trees. Enjoy a game playing with your kids, challenging your friends, or just working on your own putting skills. 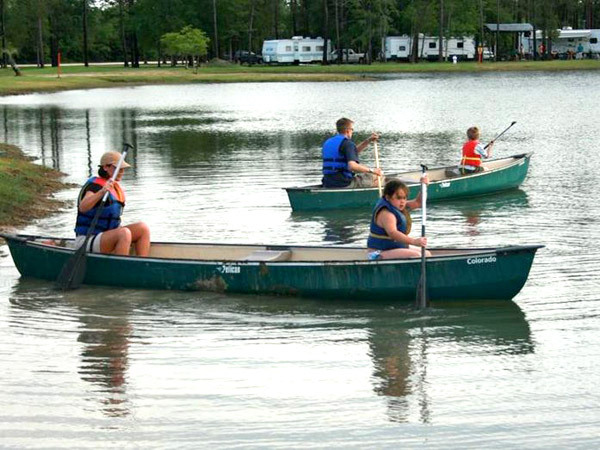 Our campers love spending time on the pond in one of our canoes. All campers wishing to enjoy the boats are required to wear one of the campground provided life jackets that are available in all sizes. 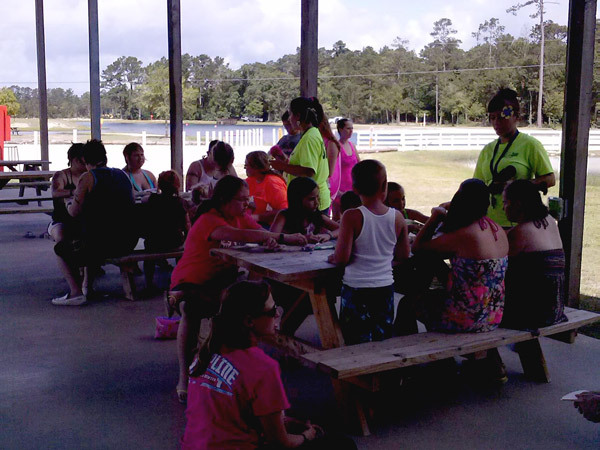 We ask that any camper younger than 6 be accompanied by an adult or responsible party. 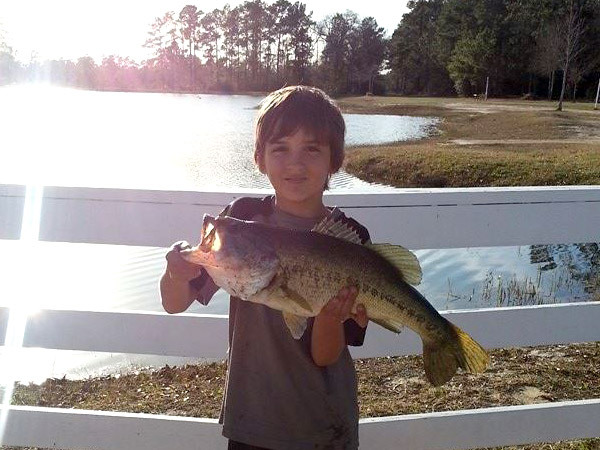 Attention all anglers: enjoy a quiet afternoon fishing in our pond.You might catch bass, brim, or perch. It is catch and release, so you can tell your friends how big the fish was that you caught and they can’t prove you are exaggerating. If you are. Which you wouldn’t. 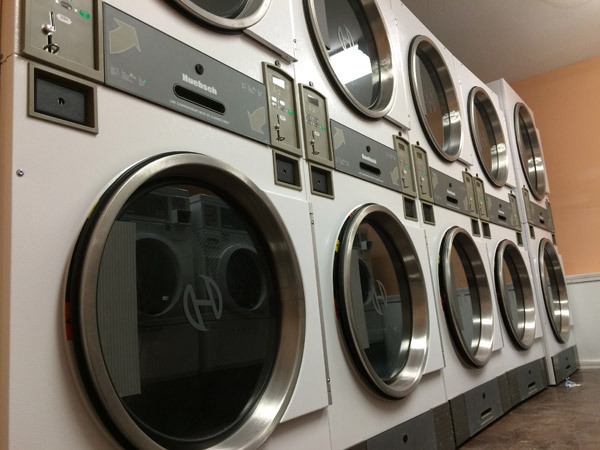 Handle all your laundry needs in one place, from small loads of delicates to sleeping bags and bedspreads. Our covered pavilion is used for our Saturday night dances and other recreational activities. Families camping at the park are welcome to use it for no charge to have picnic lunches or to just sit and visit. There are multiple picnic tables under the pavilion and a stage that is used for contests, music, and entertainment. Cozy up by the fire pit on the north side for fires. The pavilion can be rented by a group not staying at the park and have access to the playground and fishing.